This new, state-of-the-art immersion theater at the Aldo Leopold Nature Center in Monona, WI is the only one of its kind in the entire United States, making it a true gem within the Madison community. 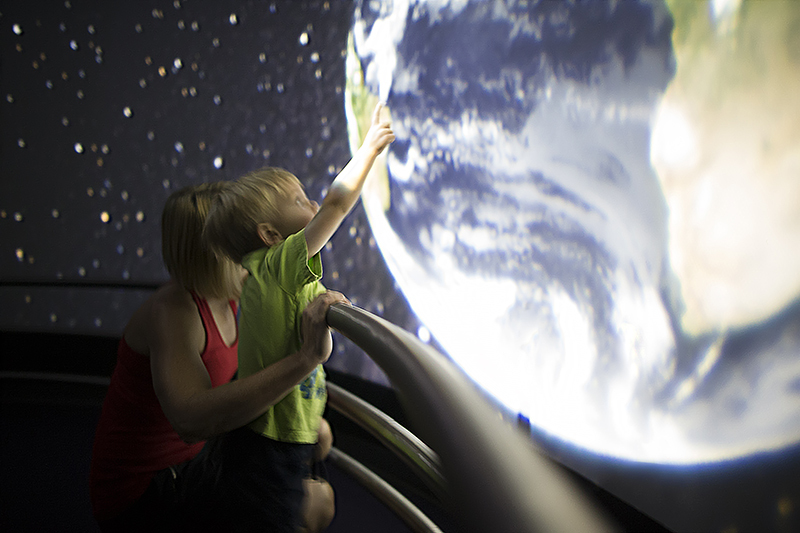 Its cutting-edge projection system displays a full complement of immersive software featuring data imagery from Earth to the furthest reaches of outer space, all driven from a touchscreen interface for user-driven and docent-led exploration. 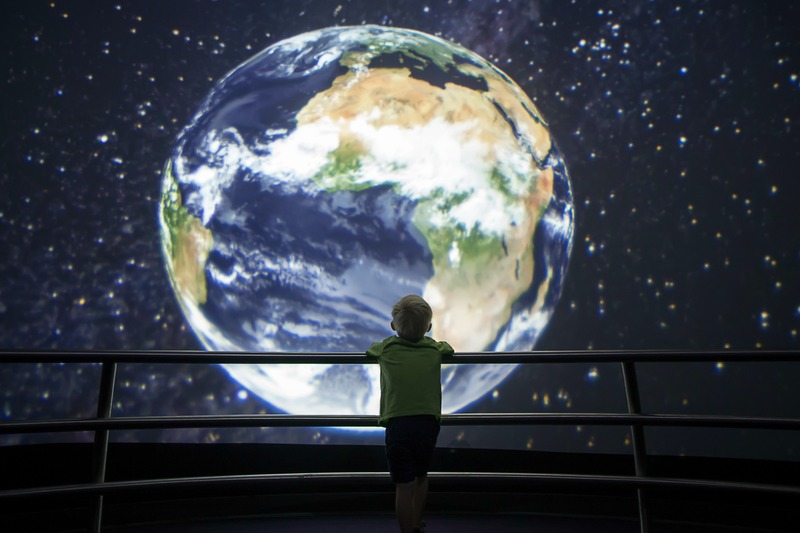 This dynamic new theater allows us to engage visitors in seamless interactive tours from the edge of the universe to the tiniest details on Earth, provoking questions regarding the nature of the universe and our role in protecting our fragile planet – our little blue marble. A visitor-driven touchscreen kiosk allows visitors of all ages to interact with immersive media from outer space to our home planet to our local ecosystems. For in-depth and educational presentations from our naturalists and teaching staff, please look at our many guided programs and group tour options. Our passion and hope here at Aldo Leopold Nature Center is to find new and exciting ways to bridge the gap between students’ increasing screen time and their understanding of and connection with the natural world. 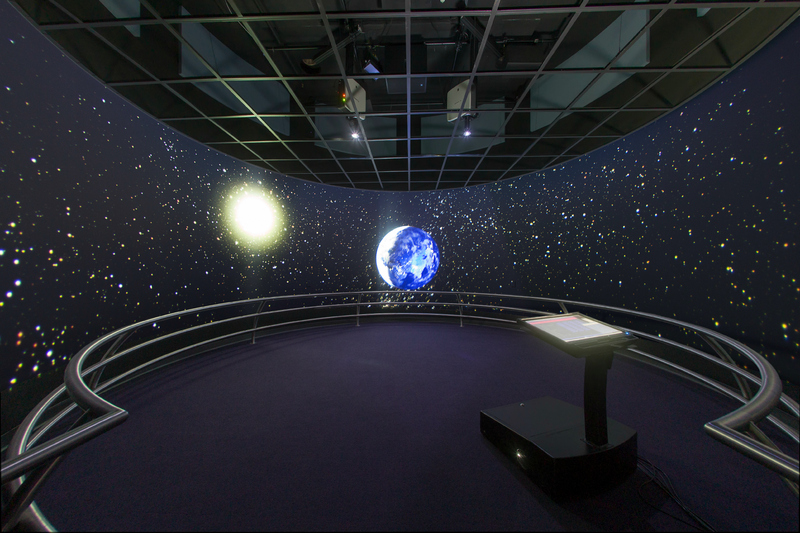 The Immersion Theater is part of our Climate Science Education Center and is included in your admission.